The benefit of a propane generator can’t describe in one word. Having a generator has become mandatory these days. Not only for camping or trip purpose, it is also important for each home and business as a backup power supply source. What if have you a reliable energy source during poor weather condition? Yeah, the best way to prepare you for such condition is investing in a generator. Propane generators are running on LP tanks. You can find these tanks available in different sizes in the market. Pick one according to your demand. Special thanks for this versatile feature. As a result, you can use these units powering for commercial service as well as home service. Besides, these generators are very handy, easier to take wherever you want. These generators don’t require any external electrical source to run. In fact, they generate power by themselves without using any electricity. For this reason, people consider it as an indispensable need during a power outage. Nothing could be greater than if you get flawless power supply during a bad weather. People also know this as a “clean burning” fuel. Do you know what it refers? It means that these generators produce a very low amount of carbon monoxide compared with other fuel generators. Many people thought propane might go in vain if kept in storage. Also, have a misconception that it might not be available during emergencies. But this thought is wrong, one can easily store a sufficient quantity of fuel for their bad times. So don’t worry about running out of propane when you need your generator most. Good to know propane can store for infinity time while you can’t store gas more than 12 months. Propane generators are the most convenient and reliable source of backup power. These are ideal for use in icy or stormy weather. At the same time, it also eliminates the need for keeping diesel or gasoline on hand, as there are no chances of running the propane out all on a sudden. It is safer relatively using gasoline or diesel generator. Moreover, it is heavier than air so nothing worrying about any leak in an enclosed area. Also, it can avoid flammable gas. You can store it under high pressure, as for this no event of container violence occurs in using this generator. 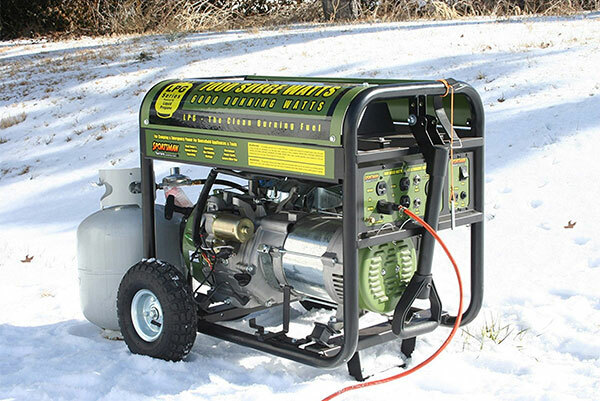 Very few generators require low maintenance; propane generator is one of them. It doesn’t build up any carbon or other deposits which is most common in gas and diesel units. If you don’t intend to spend some extra money on generator servicing then propane generators should be first on your list. Henceforth, it has become the best dependable unit for many users, always ready for emergency service. However, the benefit of a propane generator is many. Propane doesn’t have any risk of spilling as well as ensures less noisy operation. Above all the greatest benefit of using it is the lower cost fuel feature. Easily accessible and available to everywhere. Next ArticleWhat are the Changes in Life that Gambling Addiction can lead to? How to stream La Liga online free this season? When & Where?